American architect Michael Graves has been in the forefront of architectural design since he founded his practice in Princeton, New Jersey in 1964. Graves is an influential theorist as well as a diversified and prolific designer. Since the early 1980s, his work directly influenced the transformation of urban architecture from the abstraction of commercial modernism toward an interest in context. Graves has been the recipient of several of the most prestigious awards ever conferred upon architects in the United States. These include the 2001 Gold Medal of the American Institute of Architects, the 1999 National Medal of Arts (a Presidential Award), and the Frank Annunzio Award from the Christopher Columbus Fellowship Foundation. 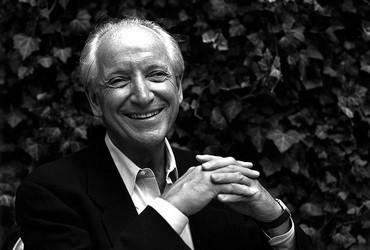 His firm, Michael Graves and Associates, has a highly diverse international practice in architecture, interior design, product design, and graphic design. Graves dubs himself “a general practitioner,” designing not only the interiors for the majority of his projects, but also a wide range of furnishings and artifacts, from furniture and lighting fixtures to jewelry and dinnerware. Uniting both symbolic and pragmatic concerns, Graves’ products deliver simple utility, functional innovation, and formal beauty. "In designing everyday objects, I want to encourage the impression of familiarity and also allow those objects to be seen in a slightly different way...In achieving these goals, we often combine simple utility, functional innovation, and formal beauty" Michael Graves.